We Record & Assess Every Inbound Call! The success of your orthodontics practice is the most important part of your business. Here at Orthodonticmarketing.net, we want to help you succeed. That is why we have an orthodontics call tracking system to help with your marketing campaign. We print a unique number on each marketing postcard that is mailed out that is routed to your primary office number. This allows us to track and monitor the effectiveness of your postcard campaign in real time. 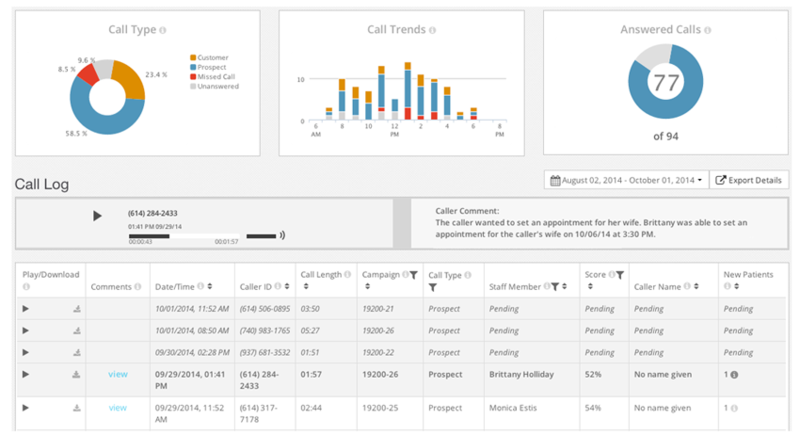 We record each call and track the quality and quantity of your campaign. We will make notes on what works and what doesn’t so we can make improvements to your future marketing campaigns. You can also review and listen to calls using your Practice Dashboard. Tracking calls is an easy way to increase the quantity of patients that are scheduled for appointments on any given postcard mailing. By informing your staff of the metrics you’re looking for, they can provide top notch service to potential clients and create new patients. Our dashboard allows you and your staff to track progress of key performance indicators (KPIs) over time, eventually leading to improved conversion rates and more patients in your chairs. Get started by calling the number below or filling out a request for a free consultation!